STURTEVANT, Wis., – BRP announced today the addition of FLW Walleye Tour veteran Pete Harsh to Team Evinrude, the company's elite professional fishing team. Harsh, the 2008 FLW Walleye Angler of the Year and a Sauk Centre, Minn. native, has amassed more than $800,000 in career winnings and looks to add to his success in 2011 by relying on his 200-hp Evinrude E-TEC-powered Ranger 620T fishing package. In good company, Harsh joins a well-respected and successful group of Team Evinrude Walleye anglers, including the reigning FLW Angler of the Year Paul Meleen and Chris Gilman, the defending FLW Walleye Champion. In fact, Team Evinrude anglers captured seven out of the top 10 positions at the 2010 Championship and all three 2010 Angler of the Year awards. 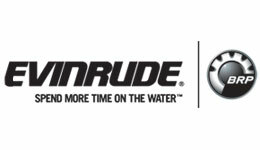 "Pete Harsh is a great addition to Team Evinrude," said Steve Laham, vice president, Sales, Marketing and After-Sales Service for Evinrude. "As a professional angler, Pete depends on his engine to perform at every tournament. His switch to Evinrude makes a strong statement for our brand and his confidence in powering with Evinrude E-TEC." BRP's Evinrude E-TEC engine line-up now includes 98 engine models from 15- to 300- horsepower. With no scheduled maintenance for three years or 300 hours, the Evinrude E-TEC engine allows anglers to spend more quality time on the water. Visit www.evinrude.com for more information and follow us on Facebook at www.facebook.com/BRPEvinrude. Winning has its perks. Evinrude also announced today that anglers powering their boats with an Evinrude E-TEC outboard engine in the FLW Walleye Tour will be eligible for contingency awards in 2011. Contingency prize money will be paid to anglers placing in the top 10 of each FLW Walleye tournament, including the Championship. Pro anglers can receive up to $8,000 of contingency money for first place in any FLW Walleye-sanctioned event. Co-anglers are also eligible for up to a $2,000 bonus if they take first place in any event. The pot is sweetened for the year-end championship - $15,000 in contingency money goes to the winning pro angler and $5,000 is awarded to the co-angler. "We are proud to continue our support of FLW Outdoors and the many anglers who choose Evinrude by investing $250,000 in additional prize money," said Christopher Berg, Director of Marketing and Strategic Planning for Evinrude. "Evinrude E-TEC owners are very loyal to the brand, and we want to reward those who choose our engines while fishing the most competitive Walleye tour in the United States." For additional details on the Evinrude contingency program and a complete list of official rules and eligibility requirements, please visit www.flwoutdoors.com/walleyefishing.